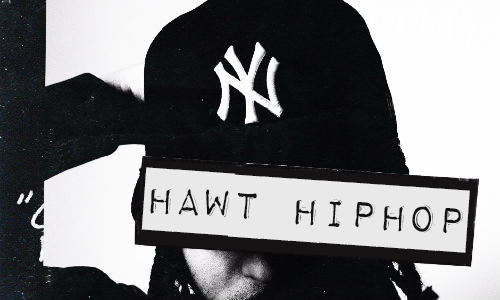 The emcee from Harlem known as S’natra is a new wordsmith on the scene worth watching. The NYC artist has released a few tracks this year in prelude to his latest project, Subject to Change, which comes out THIS Friday. S’natra tackles the paper chase, and all that goes along with it, on “Paper Straight” with his slick lyrical style, while the instrumental offers a lush soundscape of eclectic elements from jazzy horns and gospel choirs. Spin this single from S’natra and make sure you snag the the new record when it comes out on May 25th. The Detroit artist known as Black Milk is making a pass through the Valley next month to perform at the Crescent Ballroom. That show isn’t until June 29 so you have a bit of time to really get down with Black Milk’s latest release, Fever, which features this sweet single. “unVEil” has a lot of the innovative rhythmic pacing the lends the album an experimental edge, but this opening number has a dreamy backdrop that I really enjoyed. Start with “unVEil” from Black Milk (and featuring the vocal styles of Sudie) but then just keep moving through the rest of the album. This 23-year-old is about to put more established artists to shame with the funky freshness of his new single, “P.Y.G.” This Norwegian rapper has a slick cadence and a flashy throwback bounce for all you still nostalgic for 90s hiphop. And that hook has “Summer Playlist” written all over it. Check out “P.Y.G.” from Pasha and maybe hop over to Spotify to add the single to that playlist I just mentioned. 60 East addresses the new face of drug addiction plaguing the nation on “The Light”. This track was the first single from the Cali artist’s recent release, Circles EP, which dropped on April 30th. “The Light” also features the vocal talents of another SoCal artist, Ariano, to add some aerial lightness to the hook in contrast to the weighty matters hit on the verse. Sink into this pensive number from 60 East and then delve the complete EP to explore a bit more of the artist’s versatile offerings. MRGR is the product of three Parisian producers who came together (or created a “merger” of their diverse styles) in order to craft the fresh sounds you’ll be hearing on “Sunday’s Best”. The Los Angeles’ emcee Hugh Augustine joined the trinity that is MRGR for “Sunday’s Best” which fuses funk, jazz, electronic, and other modes of contemporary hiphop. The forthcoming EP from MRGR promises more collaborative tracks with other independent music-makers from the U.S. so keep your eye out for that project later this year.